Jonathan Franzen has a remarkable capacity for capturing (and critiquing) contemporary American culture. His last novel, Freedom (much of which is set in my current city, St. Paul) probed how late modernity’s promise of liberation so often ends up in chaos, confusion, and captivity. When I learned that Franzen had moved to the town where I grew up, Santa Cruz, California, I eagerly awaited his next novel. Released this fall, Purity offers a picture of a world that so many in western cultures have come to inhabit—a world devoid of any sacred horizon for meaning, identity, and purpose. 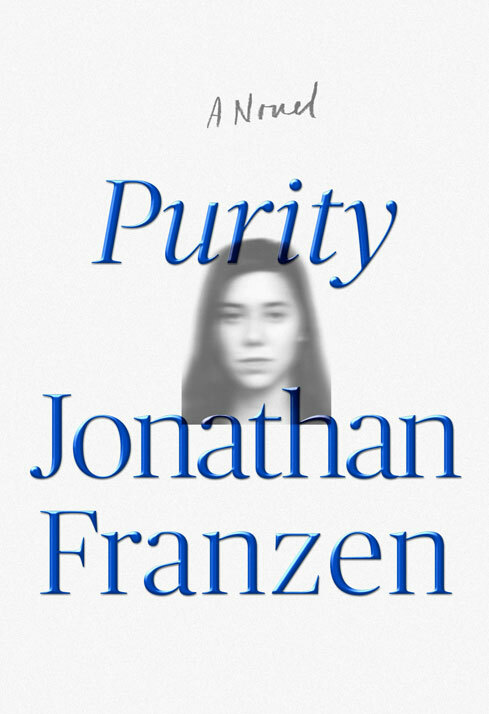 Purity focuses on a young woman, “Pip” (short for Purity, but also with echoes of Dickens’ Great Expectations), whose mother lives as a recluse in a cabin in the Santa Cruz Mountains, pursuing a life of spiritual seeking that never seems to land anywhere. (Let me assure you this is not at all uncommon there.) Like other millennials, Pip must navigate the relational, economic, and environmental chaos left by the Baby Boomer generation. This comes in the form not only of her mother and father but also of a Julian Assange-like character, Andreas Wolf, who uses the Internet to air dirty corporate and governmental secrets, all in the name of a kind of righteous and “pure” transparency, even as he hides a deep secret in his own past. For Andreas Wolf, who grew up in communist East Berlin, the age of the Internet and social media is not unlike the totalitarianism of his youth. With all its promise of “revolutions,” “transcendence,” and “a new epoch for humanity” it is at the end of the day manipulative, controlling, and spiritually hollow. The characters in this novel are all navigating the world primarily by a mix of emotions and idealism, which they all know on some level (or come to discover) can’t sustain human reality or human flourishing. But there is no alternative. Wolf is haunted by his past and can find no absolution; Pip’s parents have no grounds to be reconciled; there is no possibility of real healing or restoration in this world. “Purity”—being cleansed, reborn, renewed—like true freedom, is ultimately elusive. The sociologist Douglas Porpora says in his book Landscapes of the Soul that in American life today, the cosmos of Judaism and Christianity has been largely abandoned without replacement. Popular morality tells us what we shouldn’t do but little about what our lives should be oriented toward. There is no greater framework within which to shape human life toward deep and enduring commitments. Instead, all is fluidity and self-actualization (even as the self is understood to be no dependable and enduring thing). We live in a culture that by forsaking the deeper narratives and structures that once formed it has become thinned to the point of despair. Without a larger story than the one we individually invent, without commitments and practices for relationships that can endure past fleeting feelings, human life and community disintegrate. Novels like Franzen’s make clear the need and opportunity for an alternative story and an alternative community, even as they refrain from offering one. The sad thing is that many churches have in various ways embraced this contemporary ethos or lost the capacity to speak meaningfully into it. Church, like religion generally, is almost completely absent from Franzen’s novel, as it is from so many American lives today.